Showing 1 - 10 of 11. Spring is the most active time to be in the garden. Using all the pent-up energy we’ve accrued over winter, let’s head outdoors to clean out and prepare our garden beds, repair hardscaping, do a little pruning and moving, and start the growing season off right. Here are ten things you can do to launch the spring season successfully. This article goes over techniques for overwintering plants that must remain green and growing through the winter. Though pruning shrubs strikes fear into the hearts of many, it is actually a simple and rewarding process. 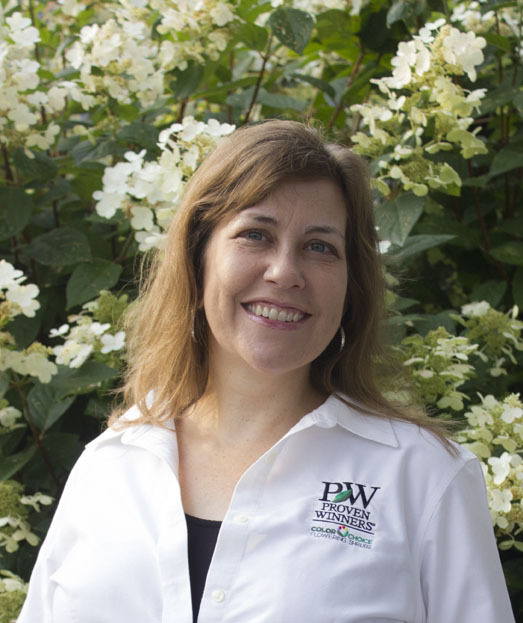 All you need to do to master it is to understand a few basic principles behind the why, when, and how of pruning shrubs. No-fuss landscaping is in high demand and Proven Winners is meeting it by introducing low maintenance shrubs that require no pruning to achieve a naturally refined, compact habit. When you grow these varieties, there’s no need to worry about pruning at the wrong time or the wrong way. See how we’re making landscaping easier for everyone with these six no-prune shrubs for landscapes. It’s hard to beat butterfly bush for sheer flower power – these sun-loving plants are some of the longest blooming shrubs you can find. They come in an array of rich, summer-ready colors, bloom continuously through fall, and of course, attract butterflies and hummingbirds by the score. For a distilled version of our pruning articles, check out and download our Pruning Demystified PDF. 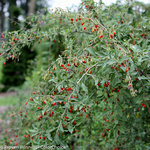 Goji is a sprawling shrub with long, flexible canes and clusters of small, grey-green leaves. The flowers are a brilliant royal purple and they appear in late spring/early summer along the length of the canes. They give way to juicy, bright red fruits that resemble small peppers. They grow sweeter as they mature on the plant. Goji plants continue to flower and produce fruit through the first heavy frost. There’s good news if you find growing roses a challenge. That’s because there are many new easy-care roses on the market. Learn the general rules of thumb for pruning flowering shrubs.